A family trust is also called a revocable living trust and is established with a legal contract called a trust document. The trust document sets out the terms of the trust and names the trustees and the beneficiaries. Once the trust is established, the settlor transfers the ownership of any property she chooses, including money, into the trust. The trustees then manage the property in the trust according to the instructions in the trust document. The settlor can also act as a trustee. The family trust pays income tax on any income generated on the principal that is not paid out to beneficiaries by the end of the year. The trust does not pay taxes on distributed income. That is the responsibility of the beneficiaries who received the income. Since the trustee has discretion as to how trust income will be distributed, she can achieve an overall tax savings by distributing trust income in a way that takes advantage beneficiaries' tax brackets. For example, all the income might be distributed to one beneficiary required to pay little or no income tax for the year, or small amounts that would not significantly increase tax rates, could be distributed to several beneficiaries. Another advantage of a family trust is that when the settlor dies, assets in the trust will not be subject to probate. Probate is the system for handling a decedent's estate and can hold up distributions. A trust is not subject to probate because it continues after death and includes instructions for how assets will be distributed. 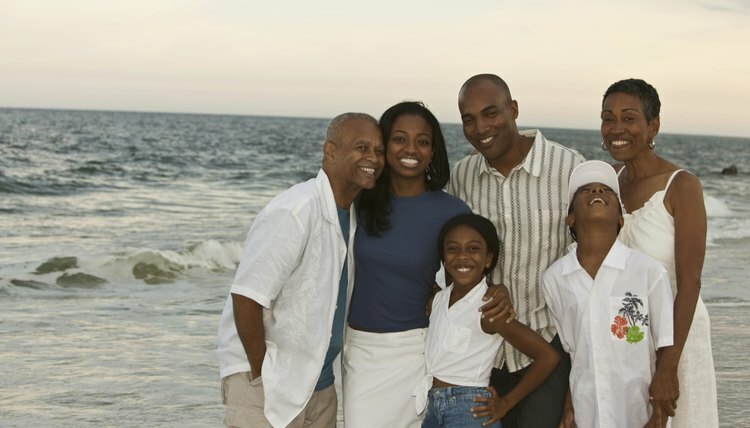 A family trust can only distribute money to people who qualify as members of the “family group” and who qualify as beneficiaries under the terms of the trust document. If distributions are made to people who are not members of the family, the trust will need to pay tax on this money at the maximum marginal tax rate – erasing some of the tax benefits of having a family trust. Recipients of distributions who are not family members may also need to pay Medicare and Social Security taxes on the income.